Which is the right ecommerce solution for you? Ecommerce is the fastest growing retail market in Europe and with online sales in 2014 expected to hit £45 billion in the UK alone (16% growth from 2013), this highlights the importance of having a firm foothold in the web for any merchant. Whether you are a new merchant making your first foray into the digital world or you are an existing retailer looking to streamline your website, choosing the right solution for your needs, which also fits with your existing workflow, is an integral part of your potential success story. When choosing an ’out of a box’ solution (such as Magento or Woo Commerce), there are many things which need to be considered before you make your choice. Many website owners are too often pushed into systems which do not suit their business needs and this can lead to the website being a drain on the business rather than a valuable asset and sales channel. We often have customers come to us looking to transfer from their existing ecommerce solution because they are frustrated or perplexed by it and are looking for guidance in find the right solution for their business however this is not an easy question to answer, and there is no ‘one size fits all’ when it comes to off-the-shelf solutions. Is the code free and open source or is it an enclosed system which you need to pay for on a subscription basis? How easy is the administration to use and does it fit in with the way your products are structured and categorised? Does the system have specific server requirements above and beyond the standard set up which could add to the cost of your yearly hosting charge? Does the system have all the features you require to run and promote your business; if they’re not included as standard are they available as third party additions? How often are system updates are rolled out and how easy are they to apply? If updates are riddled with issues during the update process then that may be additional down time and/or developer time which you have to plan for. Is the platform still widely supported and how easy is it to find solutions to any potential issues you may have? 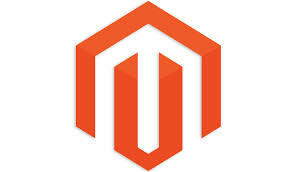 Magento is an open source content management system originally developed in 2008 under the name Bento and since then it has been taken over by eBay who is now the sole owner. Aimed at a large scale business, Enterprise edition comes with an annual subscription charge of $15,000 (roughly £10,000) however this includes professional support from Magento themselves and also has a much wider feature set compared to community edition. Magento Go is aimed at small businesses who are looking to get a store set up and online as soon as they can. This solution is hosted by Magento so you do not need to worry about hosting or set up charges. Prices start from $15 per month (£10) but there are additional charges and plans dependant on what your bandwidth and storage requirements are. Magento has proven itself to be a stable and reliable platform which has contributed to its success and is one of the reasons it is such a widely used and popular system. However with limited support with community edition and reliance on Magento experienced developers this may result in high set up costs. 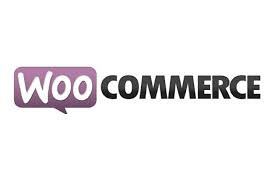 Woo Commerce was developed by Woo Themes in 2011 and is currently the most popular ecommerce plugin for WordPress. Woo Commerce is aimed at small to medium sized companies who wish to use WordPress as their code base. As with most WordPress plugins, Woo Commerce is free to download and use, however because of this, the standard feature set is somewhat lacking when compared to solutions such as Magento. To counter act this, Woo Commerce enables you to install extensions for additional features to your ecommerce website however these extensions are paid for and prices can reach as high as $200 (£130). Woo Commerce has become quite widespread over its short life and has the potential to be a nice solution for smaller retailers especially if you have experience with WordPress as a blogging platform. Its simple user interface is highly intuitive and this can be a boon from both an administration and customer point of view. BigCommerce is another ecommerce platform which regularly features on the most popular lists. It is a hosted solution and is aimed at people who have little to no web design skills whilst allowing more advanced users to customise their store. Similar to Magento Go, there are different pricing plans, however unlike Magento Go, these plans merely define your feature set and do not offer any restrictions on number of products or bandwidth. Silver is the most basic plan available and is priced at $29.95. With this you are given 3GB of storage with a built in blog as well as a ratings and reviews system. Due to this being the lowest package there is a 1.5% transaction fee. The Gold package is their mid-range plan and is available for $79.95 per month however with this increased fee you are given some additional features. Unlike the silver plan you are now given unlimited storage and additional features such as loyalty marketing (Rewarding frequent shoppers and allowing you to send them exclusive deals and discounts) and abandoned cart saver (similar to Amazon and how they send you emails from abandoned carts), according to BigCommerce “many clients earn back $1000 or more using this sophisticated feature”. This package also removes the 1.5% transaction fee which was a part of the silver plan. Their most complete and expensive plan is $199.95 per month and in addition to the features available in the Gold plan, this also includes additional support to maximise your store such as help gaining “Google Trusted Store” certification and having a dedicated member of the BigCommerce team helping you get your store set up quicker. BigCommerce is certainly one of the most complete solutions available and because it is aimed primarily at the store owners rather than web developers, the user interface is very straightforward and the set up wizards are extremely intuitive to use. It also provides a good number of marketing features such as e-newsletter services and the abandoned cart saver and these features are more comprehensive than similar features offered by competitors. Overall BigCommerce is one of the best all round store builders and is incredibly easy to use which is ideal for any non-web developers. The only down side is the price, although the start plan is extremely comprehensive and does represent good value, it may not be right for those starting out as they will not be selling large quantities to start with.